Emin bin Abdulah had the mosque, which is also known as “Dibekli Mosque,” built. Its deed of trust is dated 1464. Although Hadika stated that Emin Bey was the construction official of Beyazid Mosque who passed away and buried into the graveyard in 1513, the whereabouts of his grave is not known today. The “headwoman” of Ahmet III (1703-1730). Emetullah Kadın had its minbar put. 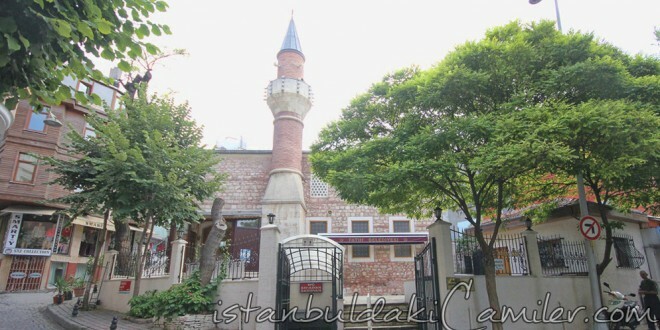 Mahmet Effendi, who lived during the sultanate of Abdulhamid II (1876-1909), had it renovated. He is buried in the graveyard situated in front of the mihrap wall. The square planned mosque that was built in a small threshold is covered with a tiled roof. There are three Windows in two lines on its east façade, and five on its mihrab wall, three of which are above the mihrab. The Windows below are oblong, thereas the ones above are with circular vaults. There are three large vaulted Windows on its west façade which clearly reflect the features of 19th century. Its minaret, which is large but stubby, is adjacent to the mosque’s wost façade. Besides, there is graveyard on the east side, behind the mihrab wall. The wooden ceiling that covers the Harim part is framed by a frieze made of lathes, yet a centre is formed out of stars in the middle. Having a single niche, the mihrab is decorated with reliefs made of plaster of Paris.